Reading and share top 17 Kelly Reilly famous quotes and sayings. 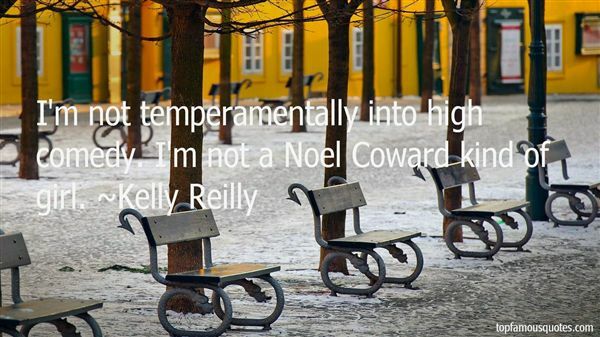 Browse top 17 most favorite famous quotes and sayings by Kelly Reilly. Now here's the thing about being a little off-center; you're never sure if you're a bona fide loon or if you have insight that other people don't have.You have to navigate through life using a kind of psychic gyroscope to keep from falling too far one way or another, and you feel a peculiar kinship with other people who are also a little bit off-center." What Did Kelly Reilly Talk About?